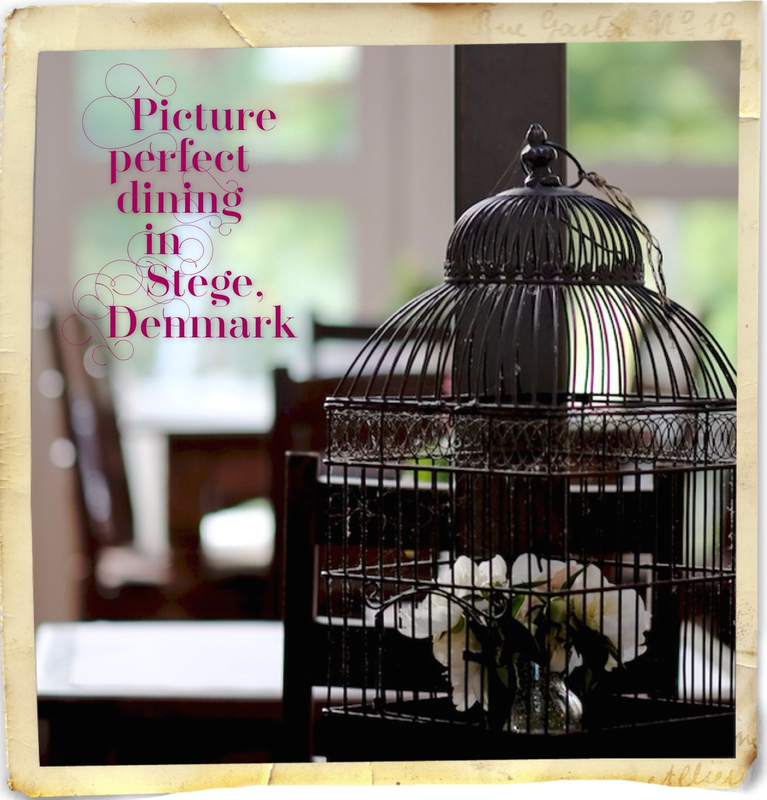 Love is in the Detail: A review of Støberiet in Stege, Denmark. The decision to visit the island of Møn in Denmark was more born of convenience on our journey to Växjö for Midsommar, than a thoughtful addition to our touring itinerary. It was also a little bit magical. I was enchanted from the moment we lined up for our ferry ride. Ferry rides nearly always make me feel like an excited child. Then came the beautiful flat rural landscape, gorgeous B’n’B where we stayed and the wonderful restaurant we stumbled on. And it is that last subject I’ll write about today. One of my favourite cliches is “Love is in the detail.” For me the phrase captures the idea that when people execute a project with great tenderness and great passion, often you will discover those feelings carried through all levels of the project, right down to the finest detail because it really matters to the creator that it’s all executed ‘properly.’ Experiencing something created this way is one of the greatest joys in life and that is exactly what happened at Støberiet in the small Danish town called Stege on the island of Møn. Støberiet is a restaurant attached to a butcher’s shop and that is a large part of the charm. These people give good meat. Depending on which door you wander in, you will either be greeted with a large display of all kinds of meat and sausages in the butcher’s shop or a quaint house converted to absolutely lovely dining areas attached to the shop. The floors were paved with stone, the furniture was old and mismatched, there were tablecloths, candles and huge windows looking out onto the porch and garden. There was one large space and other rooms and nooks coming off it, as well as a mezzanine area that created intriguing and intimate spaces. Antiques and nicknacks artfully placed in all directions. It felt like at every turn there was a carefully arranged vignette, completely picture perfect. To read more scroll past pictures. Click on an image below to view a larger version and enter the slideshow. Press esc to exit the slideshow. Mølleporten town gate in Stege. Originally part of a defensive wall structure built in the 1400’s. Enormous double-height windows look out onto the pretty garden and porch. All the furnishings are very homey and inviting. Underneath the tap on the right you can see where the key goes to record your beverage consumption. Sneaking a peak at our meat being cooked. There was cute stuff everywhere. Looking into the garden from the porch. Children were very well catered for. Interesting shop in Stege with fishing gear and hair products on display in the window. Look who we found in another window! I hadn’t even tasted the food and I had already started to swoon, such was the charm of the place for me. A friendly waitress helped us find a table then we read our instructions on how to order our dinner. Firstly you go to the meat cabinet in the adjoining butcher’s shop and select exactly which piece you would like to enjoy and how rare you would like it cooked on the grill. There was everything from the standard pork, beef and chicken, to more exotic meats like kangaroo and reindeer. Afterwards you could return to your table and wait for the meat to be delivered and take that plate to the salad table and add your selection of salads, bread and condiments. We were so hungry we took clean plates and gathered our salad immediately. Each table was also given a little magnetic key that allowed you to pull your own drink of beer or soft drink from a set of taps. The key recorded what you had taken and it was tallied at the end when you paid your bill. Meat prices were calculated according to weight and type. The salad was a set price per person. My heart became completely captured when the food was tasty. Finding good tasting, healthy food has been a little bit tricky for us on this road trip, so we thoroughly appreciated it. In fact it was so good, we went back again the next evening. The meat was cooked exactly the way we asked and was good quality. The salads were not too fancy, but we appreciated that we could pile our plates high with fresh veg. After dinner one evening we lingered in the garden enjoying the beautiful summer light while the children played. It was wonderful and we were so grateful. So if you ever find yourself near Stege, you absolutely must have a meal at Støberiet and feel da lurv. Don’t just take my word for it, see the TripAdvisor reviews here. Støberiet sounds like my kind of place. You’ve captured the charm so well with your photos. Lovely. How have I never heard the saying “love is in the details”? It makes instant sense. As for posting slowly – you’ve got to prioritise – enjoy your trip!